Another great online slots uk addition from Netent. These wolf cubs are so cute!! If you like slots promotions then join & spin today! What’s cuter than a series of adorable husky puppies that are also known to provide some rather cheeky cash prizes? To put it frankly, we don't think we’ve ever met anyone that can say that they don't find huskies just a little cute, and that’s a fact. Now if you were to add snow into that equation you will find that the cute levels have only multiplied — probably due to the little button noses of the huskies being seen through the snow itself. If you are audibly saying the word ‘awww’ right now with your eyes slightly closed and your shoulders clutched forward then we take it that we’ve done a good job in setting the scene, the scene of-course being an interlude for this: a game description for the NetEnt online slot Wolf Cub. Boasting 5 reels of husky cuteness, this is a winter adventure made for any season any time. Click here for the full range of casino slots games. Like the icicles that often nip at your nose, Wolf Cub can tend to make you feel rather chilly if you let it. Not many online slots have this much theme running through the very essence of the reels. There is a lot to see and do in this slot that is sure to keep players occupied for an awful long time depending on their threshold for cuteness as mentioned previously. The Blizzard Feature found inside Wolf Cub is a certain highlight which rewards players with free spins, the same free spins that can reward players with even higher pay-outs. What you will notice almost immediately with this title is its unique take on graphics and art style, both of which work in perfect harmony to create an experience that is perfect for first time players to veterans of the reels. It’s a multi-faceted title that works to the best of its ability when played for hours at a time on multiple spins, not only will it entertain you to no end but it will also see you rolling in the doughy goodness of money that almost feels snow like in how you wanna just dive into the middle of it to make a money angel. 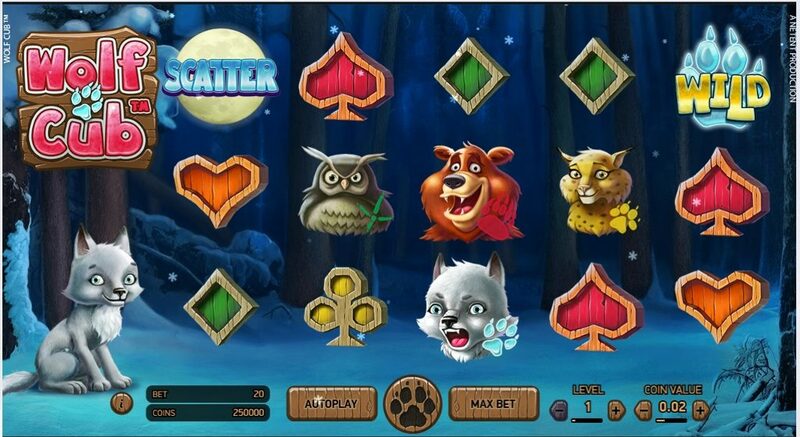 You will find on all of the regular slot offenders in Wolf Cub from wilds to scatters on-top of the aforementioned free spins and bonus game modes. 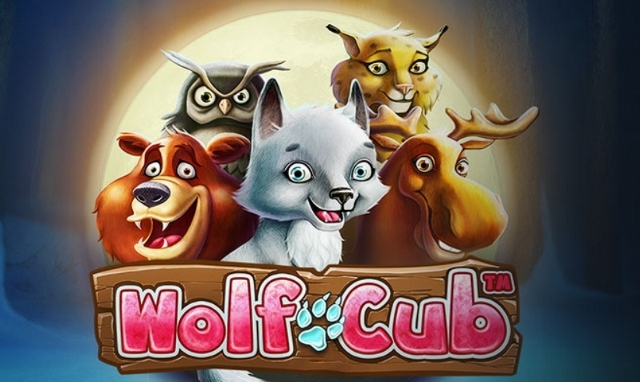 Wolf Cub is pretty much everything you could ever want in an online slot. It ticks pretty much every box that it can with impressive graphics to a highly enjoyable theme. NetEnt have created a rather interesting take on a rather soppy title in a very commanding way that is definitely worth your time and attention as an avid player of Easy Slots. Just try not to over-load on the cuteness!